"We�ve enjoyed a very relaxing visit to this beautiful community. Your home was quite cozy. We walked and biked through the neighborhood..."
The Central Sierra�s best kept secret, Shaver Lake is a small mountain community located on the western slope of the southern Sierra Nevada Mountains in central California. With its lush and healthy forest, clean, crisp air and beautiful alpine lakes, this area provides some of the best recreational opportunities anywhere in California. K&K Property Management offers rental homes and cabins to accommodate you in this beautiful area. We've been serving our valued clients for over 21 years. Since opening our doors back in 1984, we've established strong relationships with both our rental clients and homeowners. 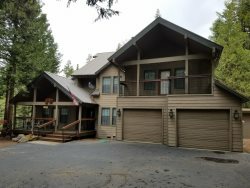 K&K Property Management's rental inventory is extensive, ranging from a wide selection of cabins, homes and condominiums. Choose from a rustic cabin in the pines, a luxury home or a quaint cottage in town. 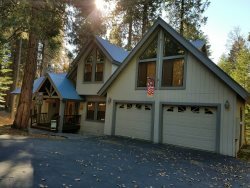 We feature rentals located in Shaver and Huntington Lakes and offer nightly and weekly rates. HOLIDAYS ARE SUBJECT TO A REQUIRED 4 NIGHT MINIMUM STAY. We do so much more than just rent out homes. 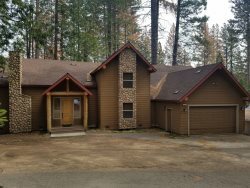 K&K Property Management's experienced staff can also steer you to the best places to eat, boat and hike in the Shaver and Huntington Lake area. We can even tell you about some great fishing spots that only the locals know about! Our service is what really sets us apart. 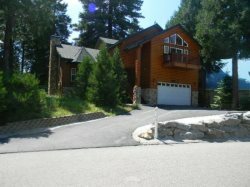 We are the premier vacation rental company in the Huntington and Shaver Lake area. We look forward to helping you have a great vacation in the scenic Sierra Nevada Mountains. Come and see what K&K Property Management can do for you!